Adelaide Central YHA is a Hostel located in Adelaide CBD. The award-winning Adelaide Central YHA offers modern air-conditioned accommodation in the heart of Adelaide city centre, overlooking picturesque Light Square. Guests have a choice of dormitory and private rooms. Consider Blue Galah International Backpackers Hostel for your next trip to Adelaide CBD. Blue Galah International Backpackers Hostel is set in Adelaide, 100 metres from Beehive Corner Building and 200 metres from Art Gallery of South Australia. You can enjoy a drink at the on-site bar. Tequila Sunrise Hostel is located in Adelaide CBD. Located just 2 minutes' walk from the Adelaide Central Bus Station, Tequila Sunrise Hostel is 5 minutes’ walk from Chinatown and the Central Markets. 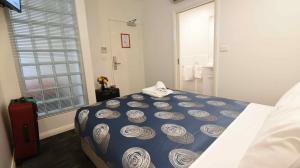 The air-conditioned rooms include bed linen and secure lockers. 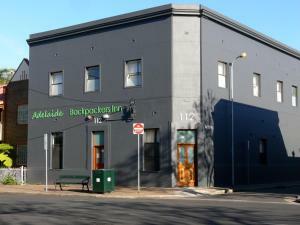 Adelaide Backpackers and Travellers Inn is a Hostel located in Adelaide CBD. 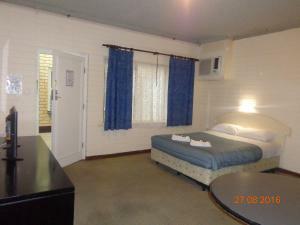 Adelaide Backpackers and Travellers Inn is situated in Adelaide and is 600 metres from Adelaide Convention Centre. This property is located a short distance from attractions such as Adelaide Central Market. The property is 1.1 km from the city heart. 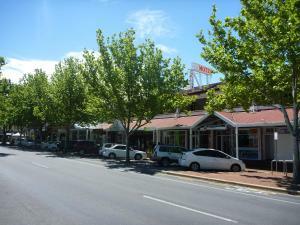 Consider Adelaide Travellers Inn Backpackers Hostel for your next trip to Adelaide CBD. Located in the city centre, this hostel offers free car parking and free bicycle hire. Most rooms have access to a balcony with city views. The Guest House is located in Adelaide CBD. This family friendly hostel offers free WiFi and a rooftop terrace with views to the Adelaide Hills. Breakfast each morning is included. Private air-conditioned rooms with a TV and washbasin are available. Hostel 109 Flashpackers is a Hostel located in Adelaide CBD. Located 10 minutes’ walk from Rundle Mall in central Adelaide, Hostel 109 offers free Wi-Fi, a BBQ area and communal kitchen. All rooms are air-conditioned. Enjoy meeting other guests in the shared living area or prepare a healthy meal on the BBQ. Consider My Place & Adelaide Backpackers Hostel for your next trip to Adelaide CBD. 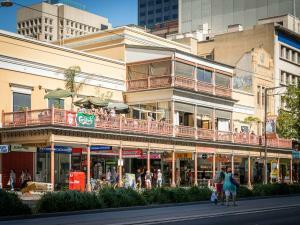 Featuring free WiFi, a sauna and a balcony area, My Place & Adelaide Backpackers Hostel offers accommodation in Adelaide. Off-Street Parking is available on site, subject to availability. 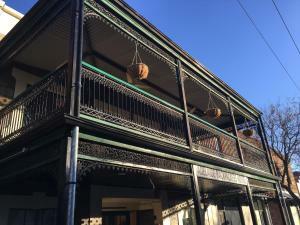 Adelaide Backpackers Inn is located in Adelaide CBD. Located in central Adelaide, Adelaide Backpackers Inn offers free WiFi and free bicycle hire. Guests enjoy use of a barbeque and shared kitchen facilities.